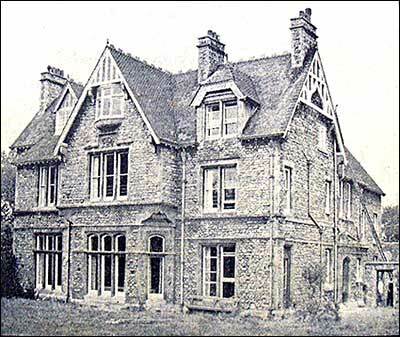 Unused since war-time occupation by evacuee children "Eastfields" at Rushden, will become a County Council residential nursery in June. It will accommodate 30 "under fives." Decoration and furnishing is now in progressmain alterations have been the installation of fire appliances and heating apparatus. Children from birth to school age will be accommodated and a matron, warden and two or three nurses are expected to be engaged. The opening of the nursery will relieve overcrowding at the County Council children's homes at Raunds, Kettering, Wellingborough and Market Harborough. Finishing touches are being applied this week-end to “Eastfields” a centrally situated and yet secluded old Rushden house scheduled to take on a new lease of life as a County Council home for abandoned and orphaned Northamptonshire children under five years of age. It will be officially opened in two weeks’ time. The “nursery” is approached by a tree-lined drive at the top of Victoria Road and stands in extensive grounds which include a paddock, playing field and orchard. It will house 25 boys and girls who, in the main, have been abandoned by their mothers, neglected or orphaned. There will be cases, too, where the child is placed in the home temporarily because of the illness of both parents or where the father has been left a widower and is unable to take care of his baby. Frequently, in the case of desertion, the babies are only three weeks old and because it is anticipated that probably six or eight will be among the first children to be admitted, a milk preparing room has been equipped to adjoin the dispensary, and a fleet of brand new high prams are waiting to be filled. “Eastfields” was acquired by the County Council three years ago  during the war it was run by the L.C.C. as a home for evacuees  and extensive decoration and renovations have been carried out in the last nine months. The installation of central heating is a major improvement. A new airiness has enveloped the house since it was painted in cream and shades of palest pink  with linoleum to match in the toddlers’ room on the ground floor. There are little cream chairs and tables, tricycles, slides and rocking horses. In the night nursery on the second floor gay curtains with nursery rhyme motifs match the coverlets on the cots and there are other attractive bedrooms to house other age grades. Ample cupboard space will accommodate the mountains of clothing which is purchased as required individually and never to conform to a uniformed pattern. There is an isolation room  just in case of an emergency  and bright bathroom with individual washbasins and small size baths on pedestal legs to save back-breaking manoeuvres on the part of the attendants. The staff will occupy the top floor. Miss Munroe, of Wolverhampton, has been appointed matron and there will be a deputy matron, a warden, two nursery nurses and three assistant nurses resident in addition to outside domestic staff and a gardener. Their rooms are excellently furnished, containing single divan beds with bright coverlets and curtaining, rugs, and washbasins. There is a large staff sitting room with easy chairs and wireless extensions throughout the house. In addition to an extra large kitchen and larder accommodation, an excellent laundry room has been equipped with a drainage floor and new windows and there is a drying room adjoining. The County Council have 140 similarly placed children under their care in other homes throughout the county and the extension of such work to Rushden will doubtless meet with interest and sympathy on the part of local townspeople. In June 1959 the County Council put in to the council planning to build 4 police houses on the site.